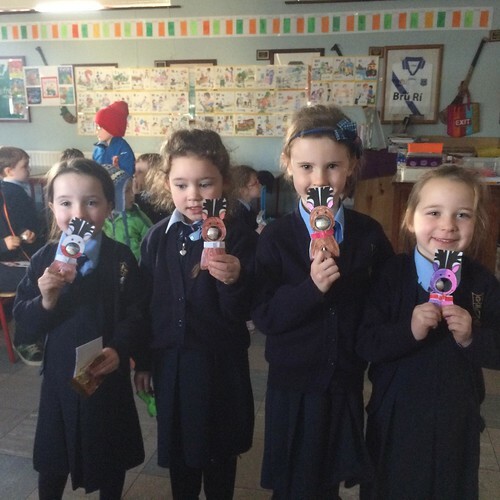 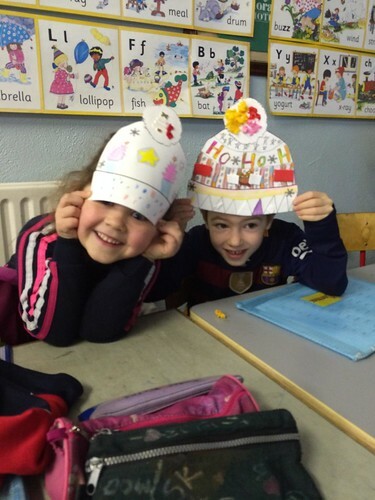 The Junior Infants were so excited for Christmas time. 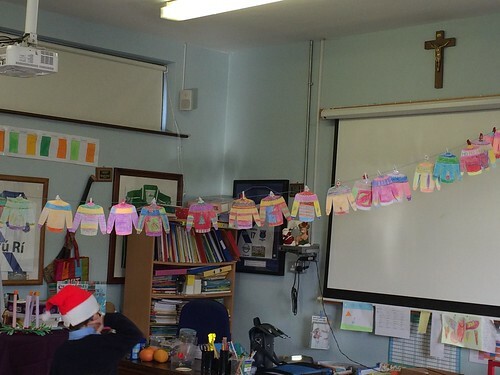 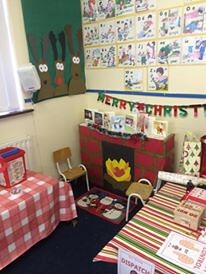 We transformed our classroom into a Christmas wonderland and our ‘Aistear’ theme for December was ‘Santa’s Workshop’. 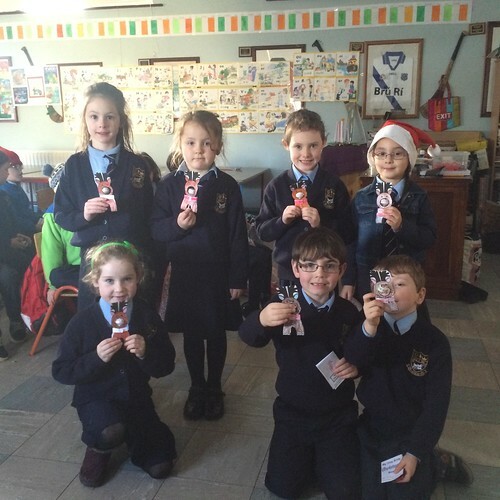 We changed the names of all our class groups to Christmas themed groups. 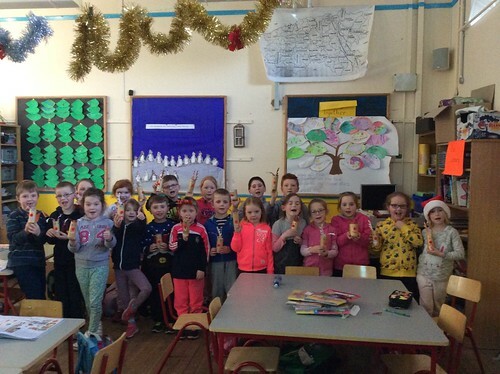 The children made some beautiful Christmas art and craft pieces. 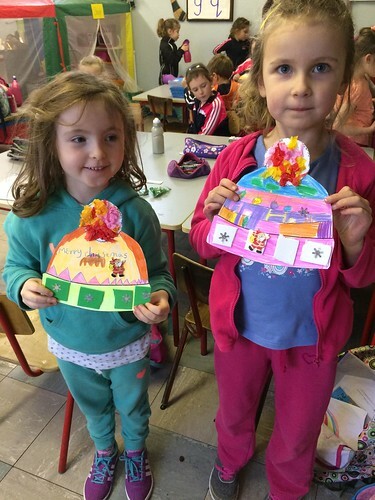 Below are the children’s Christmas cards. 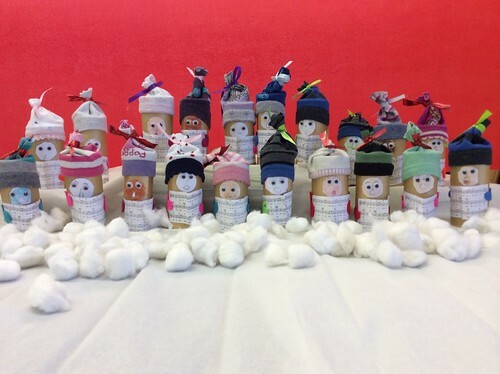 First Class made Rudolph the Red-nosed reindeer from cardboard rolls and made beautiful Carol singers from recyclable materials including old socks!